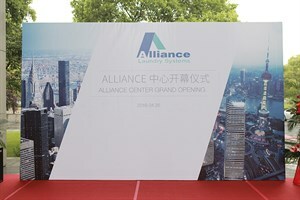 SHANGHAI, China – (April 26, 2016) –Alliance Laundry Systems, the leading global commercial laundry equipment provider, today reaffirmed its commitment to China with the opening of a new 1,000sqm facility in Shanghai. The new laundry academy and showroom are bringing the latest innovations to customers, distributors and partners in the nation. The facility features a showroom where customers can experience working demonstrations of laundry equipment and check out the latest innovations. 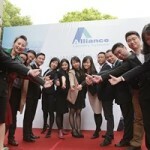 A highlight of the Shanghai customer center is the dedicated training area. Programs for distributors, partners and team members allow hands-on experience with new products and interactive encounters with laundry technology. 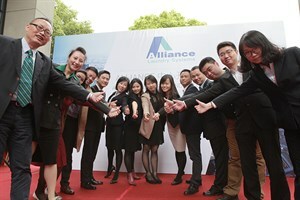 The Shanghai customer center showcases Alliance different offerings for Chinese audiences amongst its brands, one of them, Speed Queen. Along with Deli, Primus & Unimac. 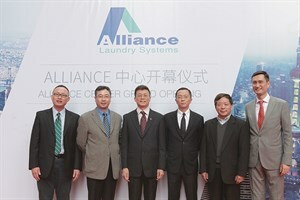 A company focused solely on laundry, Alliance Laundry Systems is deeply involved in all aspects of the business. 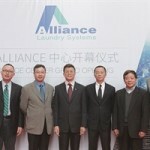 The Shanghai customer center offers insights into every market segment, including OPL, vended laundry, multi-housing laundry and domestic laundry. 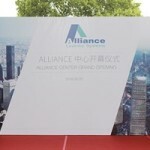 The Shanghai customer center will be of particular interest to investors and managers concerned with hotels, apartment buildings, hospitals, universities and other institutions.